This sensor designed by DFRobot offers touch less gesture sensing, which means you can issue orders simply with a swipe of your hand! 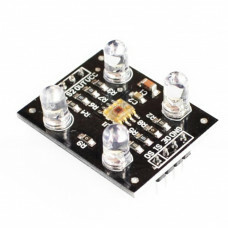 Except this, it supports RGB color detecting and ambient light measuring. 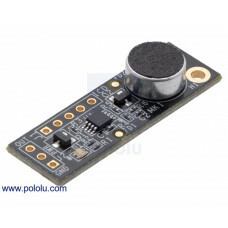 With this new sensor, traditional switch can be replaced by. 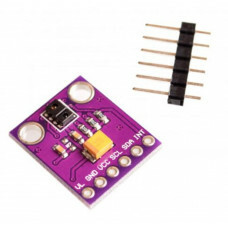 This sensor has a high quality and accuracy: Its sensor module uses the APDS-9960 chip (a single 8 pin package digital RGB, ambient light, short and gesture sensor device); infrared LED helps measuring the short-range and gestures. Moreover, the sensor is able to work under low- light conditions thanks to its RGB and environmental light perception measurement. In addition, integrated UV-IR shading filter can detect ambient light and color temperature. This is a very fun miniature hand-cranked generator, you can power through the joystick, just need t..